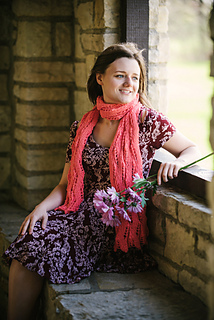 With its gentle waves and airy spaces, this scarf will give you the confidence to travel to your dream destination. 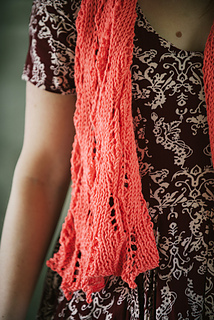 Knit this up for the friend headed abroad or to spice up your wardrobe for the summer season. Gauge: 18 sts and 24 rows = 4” 10 cm in pattern after wet blocking.